This is a 12-inch x 12-inch oil on canvas. 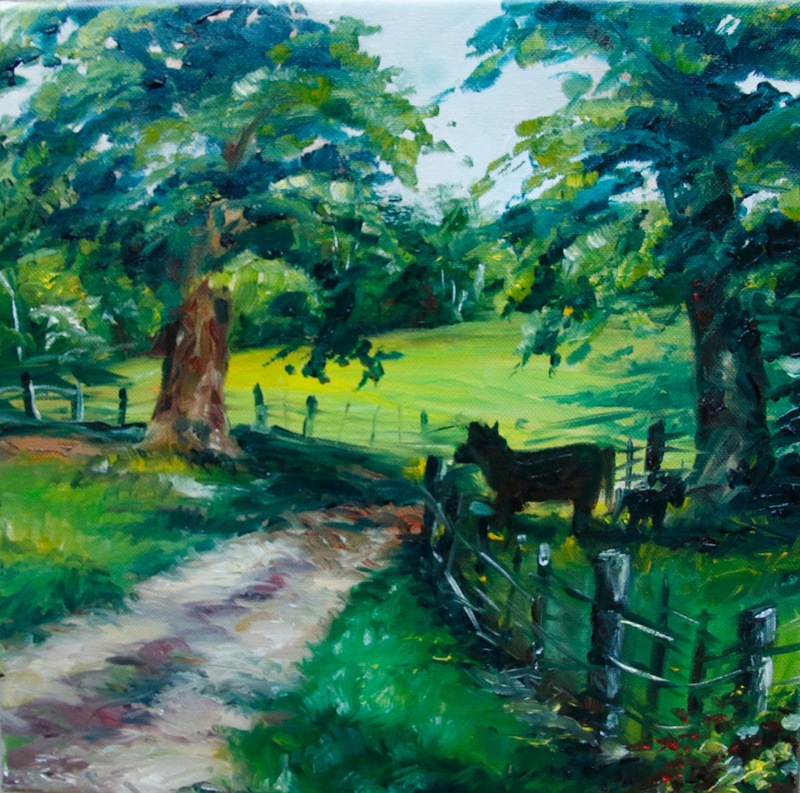 Last weekend I visited my Mom and Sister in East Texas and did this Plein Air Painting. Plein Air Painting simply means painting outdoors and painting what you see. It was an incredibly humid day in East Texas! This painting is for sale, please email me if you are interested, sconnolly6@gmail.com.